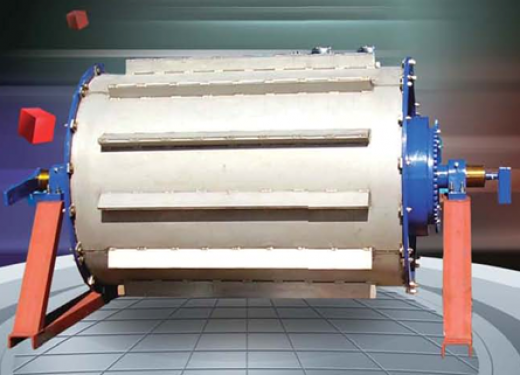 The Shredder Drum Separator uses a combination of the suction force of an electromagnet and the absorption capacity of a permanent magnet to produce a very high separation rate. The Shredder Drum Separator is usually mounted at a transition point and pulls ferrous material up through the natural trajectory of material ‘waterfall point’ at the head drum. There are three different installation methods, each maximising the recovery of iron pieces from shredded scrap, waste and other feds, used commonly in vehicle scrap recycling.